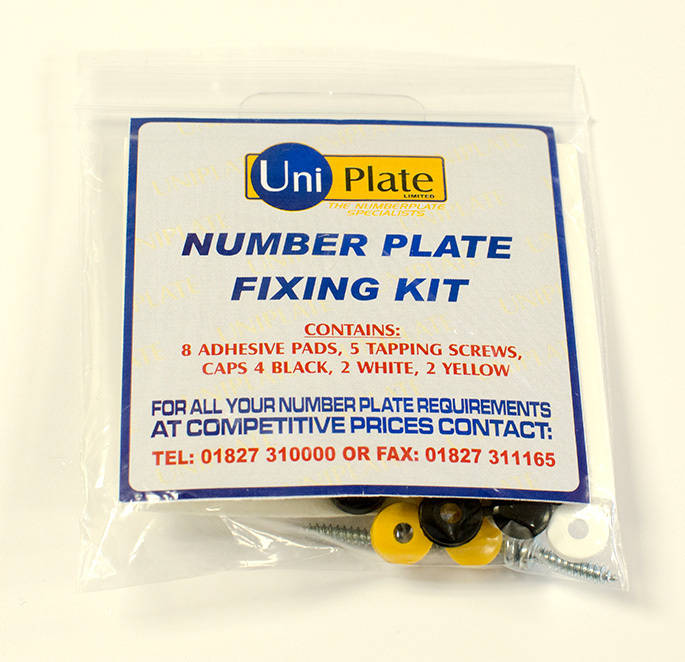 We offer complete fixing kits that can be personalised to include your company logo as well a range of accessories. 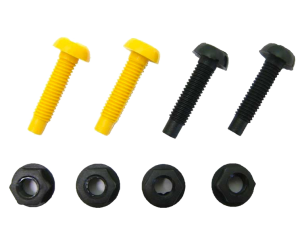 A full kit will contain sticky pads, self-tapping screws and nuts and bolts. 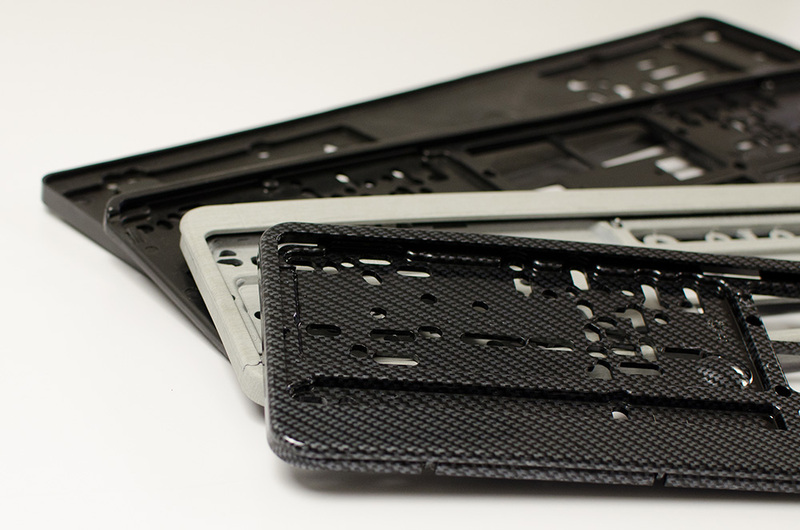 Uniplate offer a range of quality number plate frames ranging from Fix and Clip to Wurth frames. 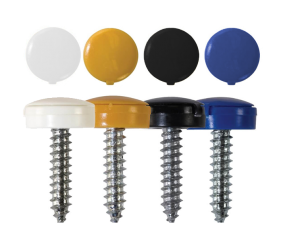 Self-tapping stainless steel screws and security type screws with coloured cover caps. Plastic plate fixing nuts and bolts, colour coordinated for all plate types. 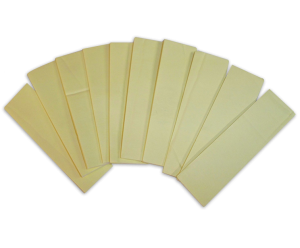 Strong bonding sticky pads are available individually, in packs of 100 or rolls of 1,000. Full fixing kit comprising of screws, caps, pads and instructions for fixing. The insert can be designed with your company with logo.